The Selkirk School District was organized in December 1878. It eventually became part of the Lord Selkirk School Division. A two-storey brick school building was constructed along Eaton Avenue sometime before 1907. 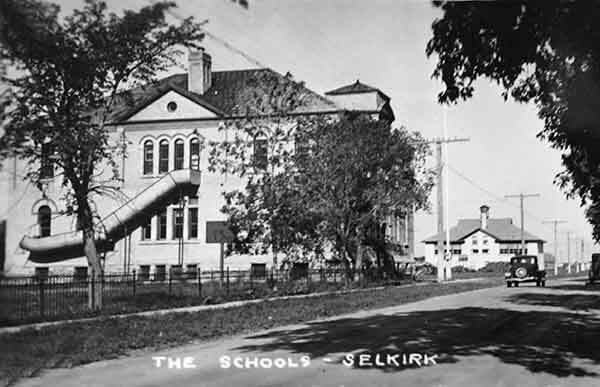 In September 1907, voters of the Selkirk School District decided by a 97 to 7 margin to spend $11,000 upgrading the building based on a design by Winnipeg architect William Fingland. After 1920, senior students were moved to the Devonshire Collegiate building nearby. The site is now the parking lot of a shopping mall. “Provincial paragraphs,” Manitoba Daily Free Press, 18 October 1882, page 2. “Tenders,” Manitoba Free Press, 23 April 1907, page 24. “Petition against new fisheries law,” Manitoba Daily Free Press, 24 May 1910, page 11. 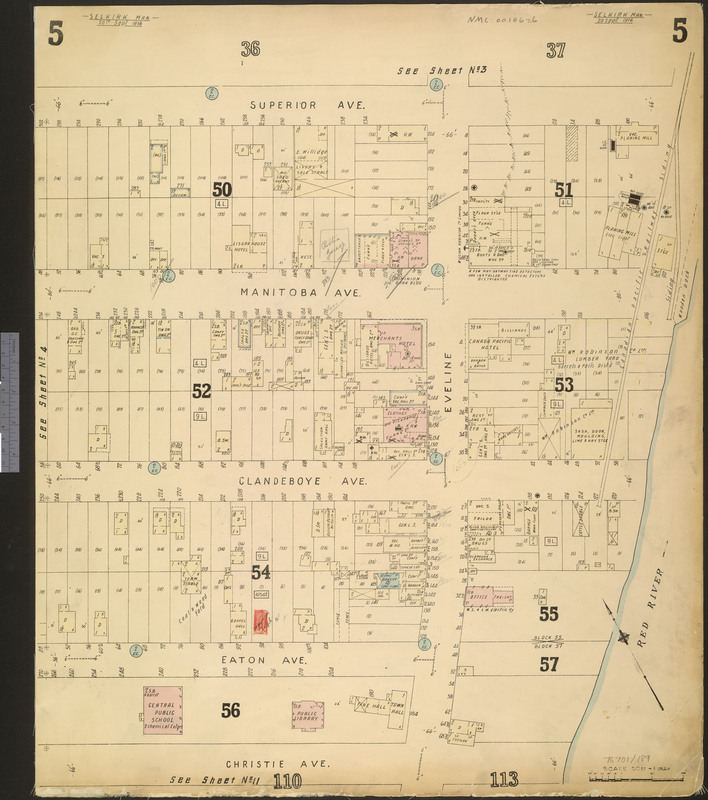 “Selkirk, Man,” Western Canada Fire Underwriters’ Association map, September 1916, Library and Archives Canada. “Selkirk,” Manitoba Free Press, 27 December 1919, page 16. “Grade 12 to be tought [sic] at Selkirk Collegiate,” Winnipeg Tribune, 14 September 1932, page 3.